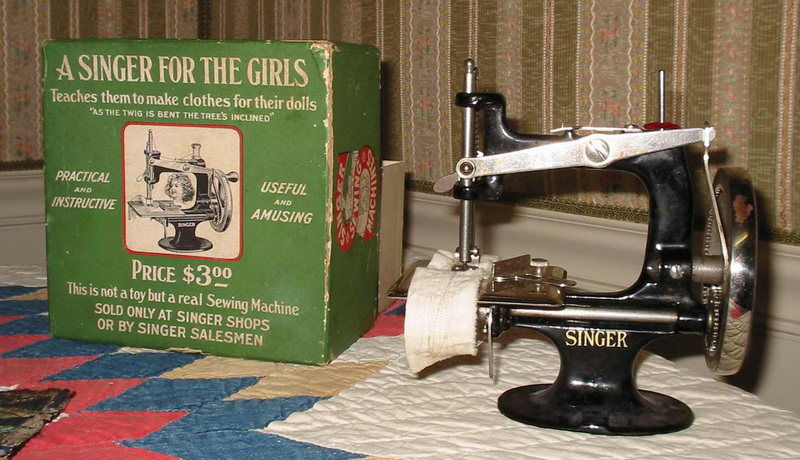 Now in the collections of the Follett House Museum, this Singer sewing machine was sold as “A Singer for the Girls” in the 1910s and 1920s. 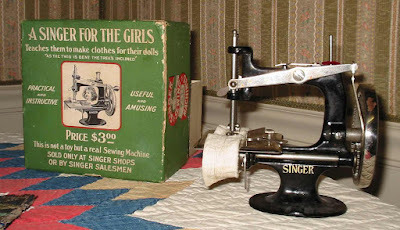 This miniature sewing machine, which sold for $3.00 (about $75 in today's money), was fully functional, and was promoted as an item to help young ladies learn to sew clothing for their dolls. It was sold only at Singer stores or by Singer salesmen. The catapult was made by the Sturdy Toy Company, which was owned by Bert Hall. 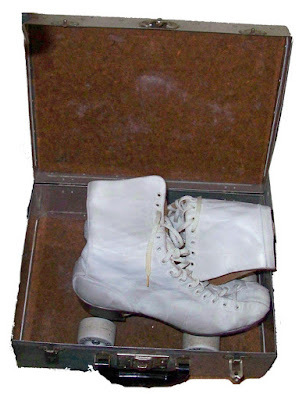 The company made wooden and aluminum toys at their small factory in Castalia, Ohio in the 1940s. Mr. Hall was a member of the French Foreign Legion during World War I. The donor wore these skates as a young adult in the 1950s. 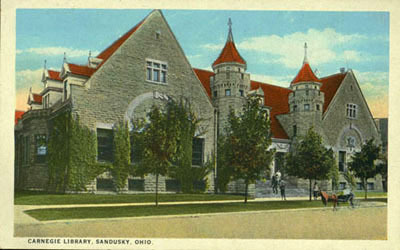 Visit the Follett House Museum to see many historic toys and artifacts from Sandusky and Erie County, Ohio. 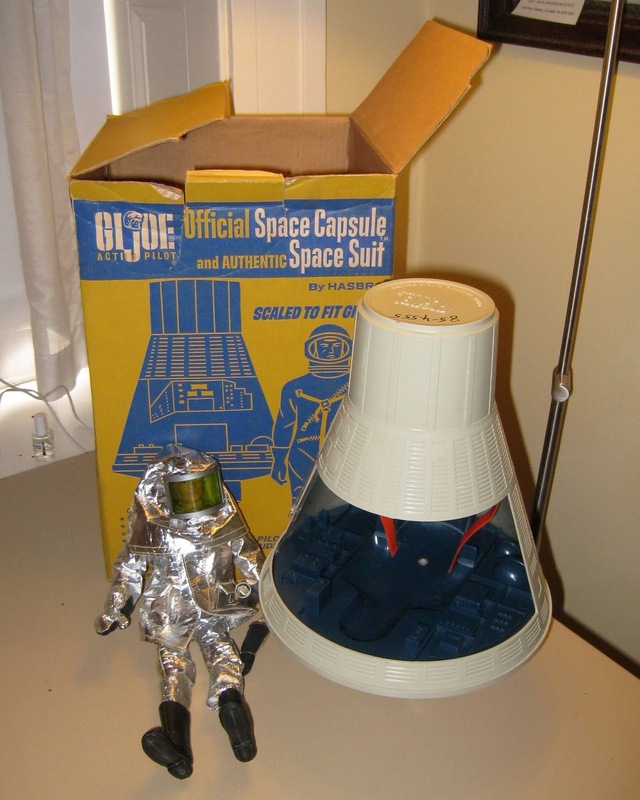 Great post, I didn't expect these fashionable toys to have appeared in the early part of the last century.